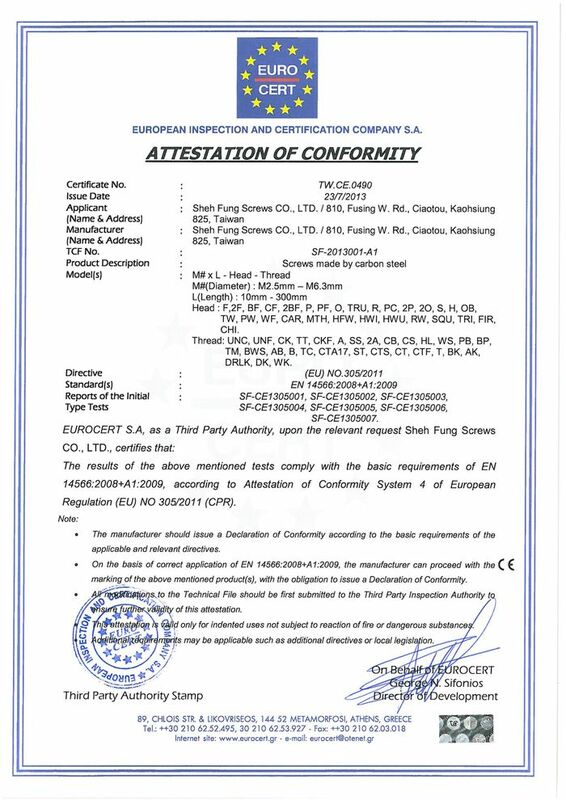 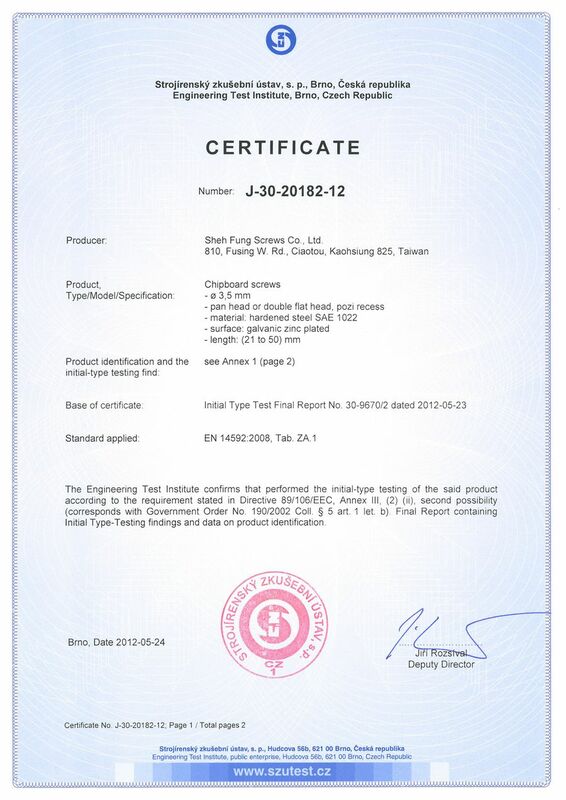 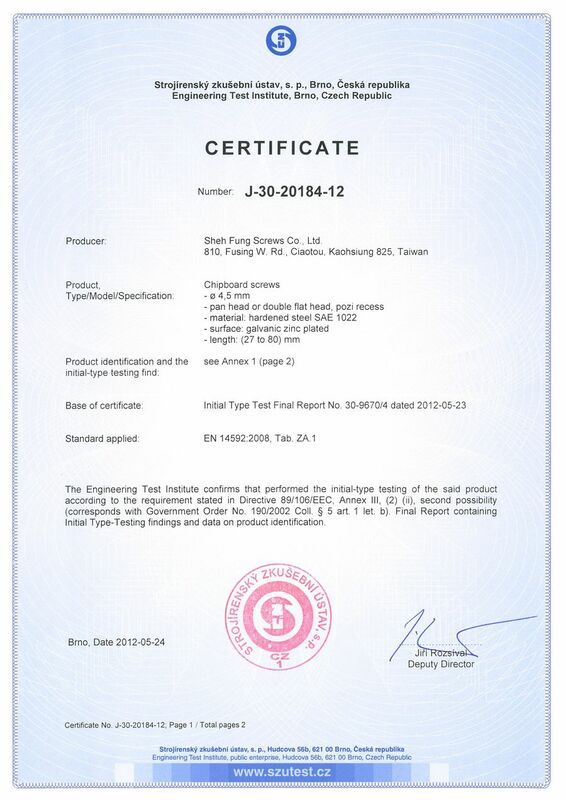 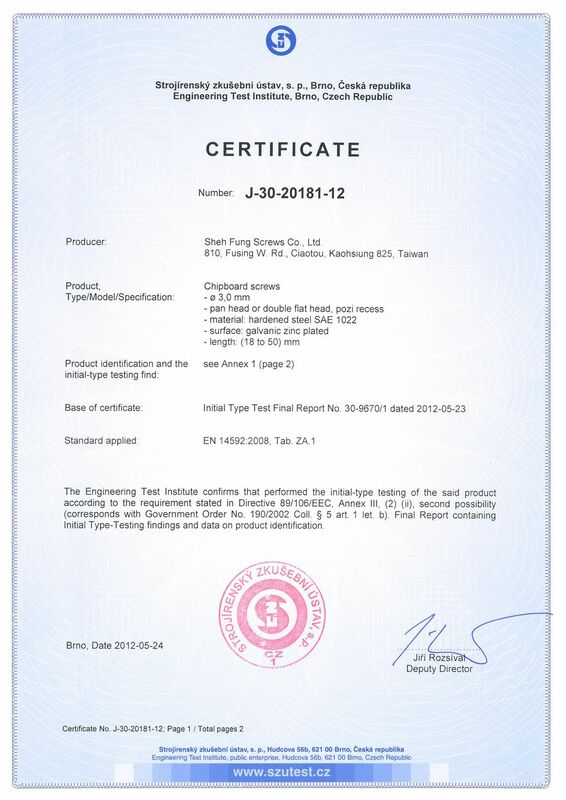 In order to continuously improve the manufacturing quality of Sheh Fung, we received ISO-9001, ISO-14001, IECQ Certification, CE Certification, to ensure our products have the world-class guarantee. 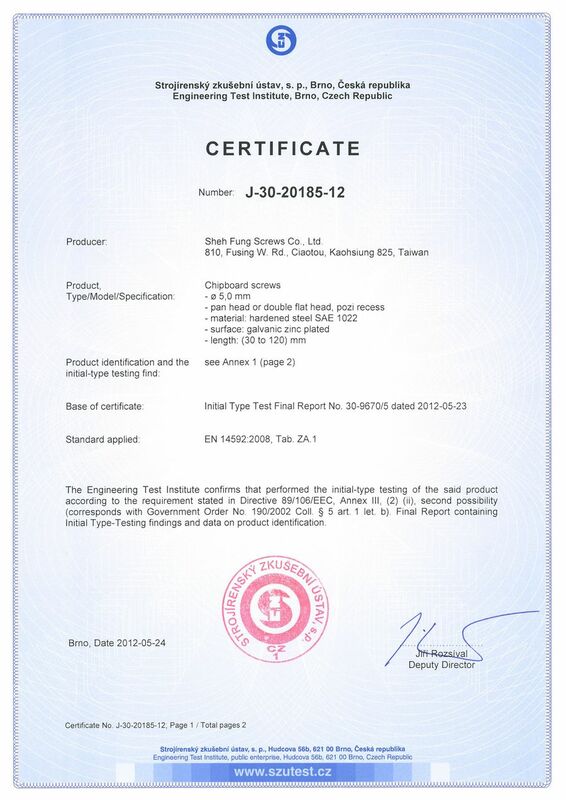 In the increasingly fierce competition in the domestic and international market, also,we are going to apply A2LA laboratory certification in order to advance the credible quality control recognition at home and abroad. 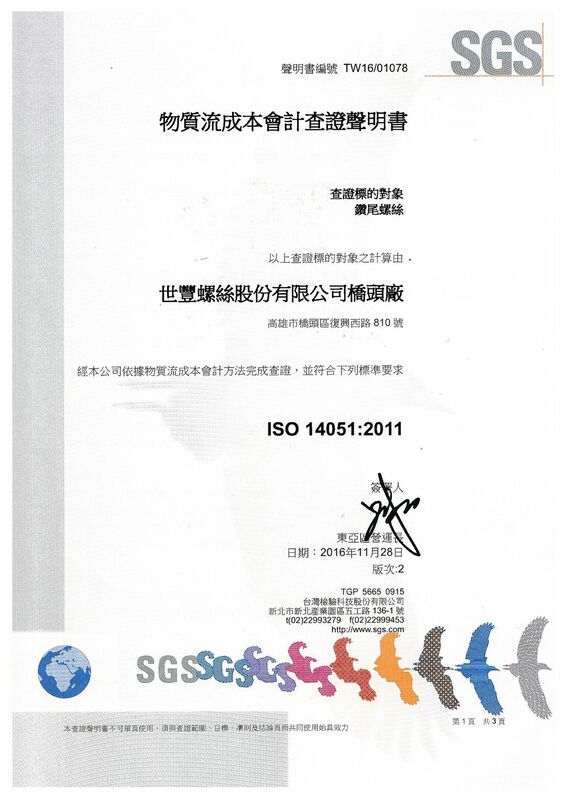 We have developed and implemented hazardous substance process management procedures and related processes that have been assessed and found to comply with the applicable requirements for IECQ-HSPM organization approval. 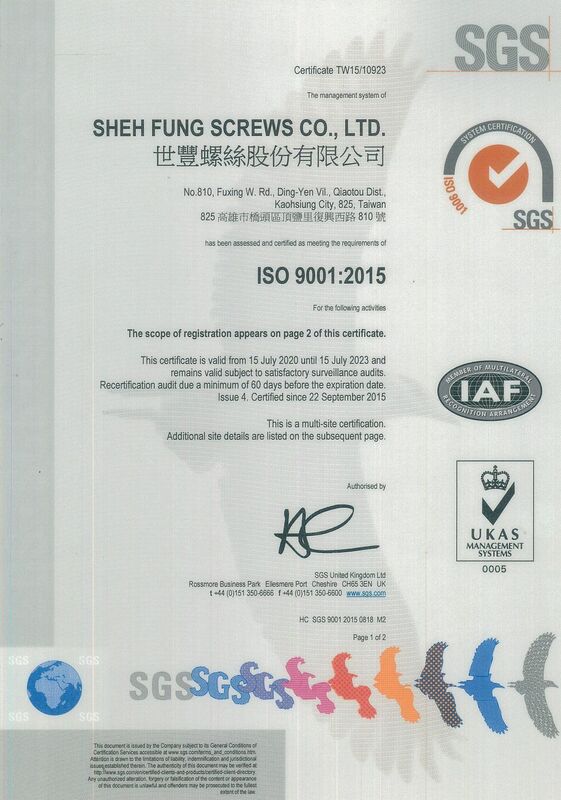 Allows to enhance customer satisfaction through an effective production system for a variety of screws such as drywall, self-drilling, self-tapping, roofing, chipboard, particle board, concrete, and furniture screws. 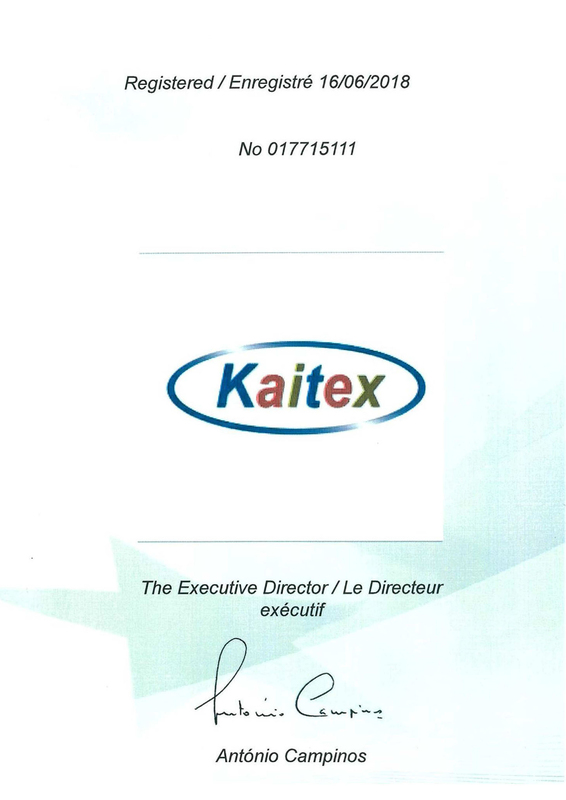 Integrated with ISO 9001, we incorporate the plan-do-check-act (PDCA) framework into our production control system for managing environmental aspects, fulfilling customers’ compliance, and address any risks or opportunities for improvements. 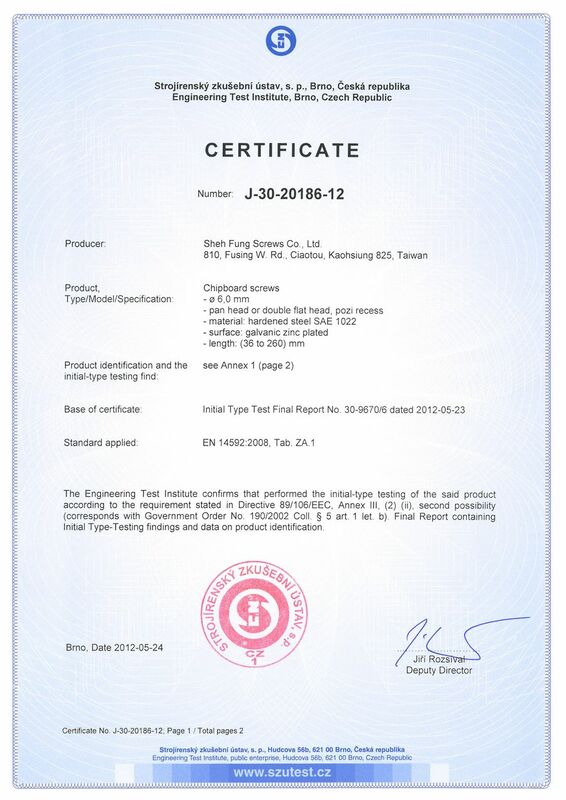 This provides a general material flow cost accounting (MFCA) framework for our material handling and stocked materials within the factories in order to trace and quantify either in physical units of weight or volume. 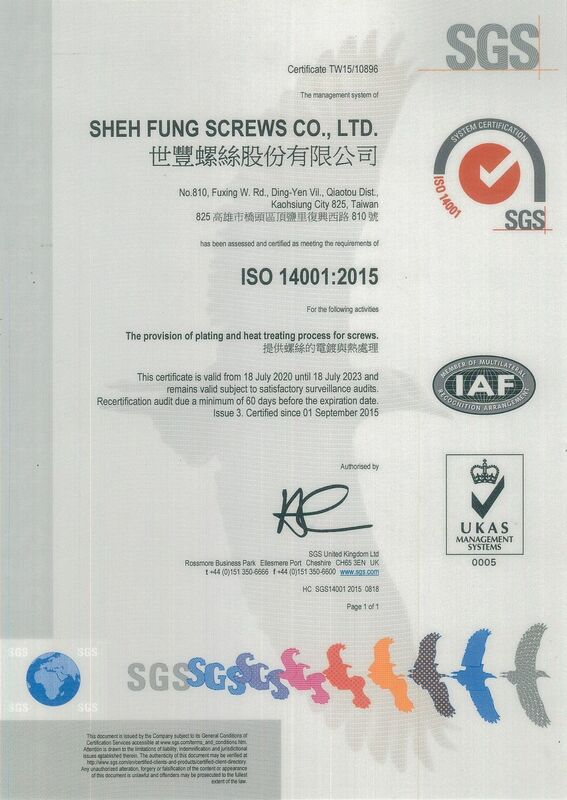 The European Inspection and Certification held by third party authority EUROCERT S.A certifies that we comply with the basic requirements of the EN14566:2008+a1:2009 according to the European regulations for our screw models made by carbon steel.